The Employer in Residence Mock Interview opportunity for MBA students, in partnership with the Career Development Center, can help you to emphasize your strengths and improve on your overall interview skills. Upon request we will pair you with a professional who will develop a scenario for an interview and allow you to self-critique and receive constructive feedback. Our goal is to help you with your next employment opportunity, promotion and career growth overtime. Our team of professionals will help you develop a résumé that speaks for itself and a cover letter that stands out when you apply for that opportunity. In collaboration with the Career Development Center we will work to customize your résumé and cover letter to emphasize your best attributes to appeal to prospective employers. The MBA Program provides the opportunity for students to career shadow in several industry areas through a temporary, unpaid exposure to the workplace in an occupational area of interest. 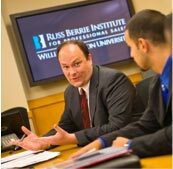 In order to take advantage of this opportunity, the MBA director will work to partner the student with a university affiliate that best matches his or her personal and career interests. Students who are interested in this opportunity must go through a selective screening process prior to a match. The professional enrichment program is designed to enhance business students’ college education by providing opportunities to meet and network with area specialists; learn from business leaders directly; become involved in work-related activities such as internships, practicum, and job shadowing; and attend various seminars and forums that deal with professional development and/or contemporary work-related issues. We encourage all MBA students to get involved in the many highly successful professional enrichment activities that are offered each year.